We are open 7 days a week, even on Sundays! 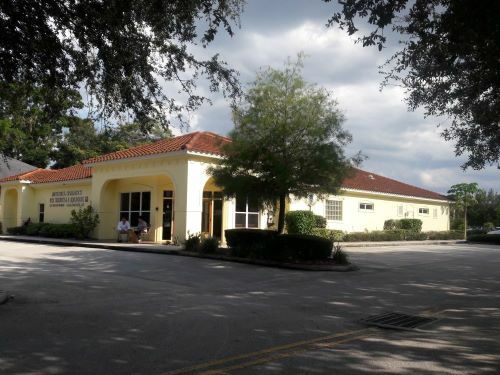 Dr. Woody Dudley and staff would like to introduce you to Mitchell Hammock Pet Hospital, our 5700 sq. ft. hospital with state-of-art facilities. 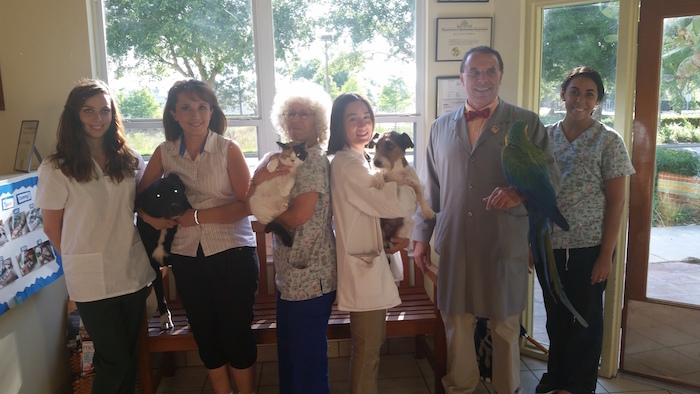 We provide treatment for dogs, cats, birds, reptiles and exotic animals. We board dogs, cats, and exotics separately. There are ample parking spaces, which are handicapped accessible, and a loading zone for owners who wish to drop-off their pets for treatment or a bath. We welcome your inspection! We are located at 255 Alexandria Blvd. in Oviedo, Florida across from Oviedo City Hall, Police Department, Fire Department and Alafaya Woods Publix Plaza. We are located very close to the University of Central Florida and welcome all UCF students & faculty. Contact us: (407) 366-7323. We are an accredited hospital of the American Animal Hospital Association, a member of American Association of Feline Practitioners and a member of the Association of Avian Veterinarians. We have a Cat Friendly Certification from AAFP. We are also proud sponsors of the Pre-Veterinary Society at the University of Central Florida. Go Knights! In order for your pet to feel its best and live a long pain free life, our goal is to make an early Diagnosis and Treatment of illnesses due to age and breed, including but not limited to Gum Disease, the number one health issue in small animal practice today, through 6 month Health Exams, yearly Wellness Testing and yearly teeth cleaning. 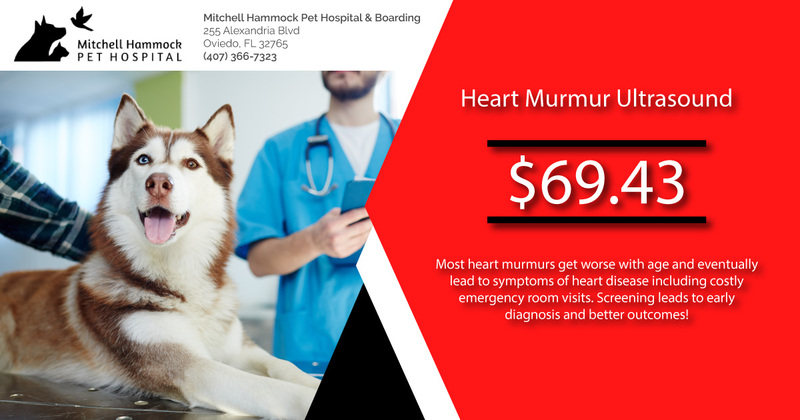 6 month unrushed thorough health exams: We give you and your pet the time you deserve…. Diagnosis: every pet deserves a diagnosis! Dentistry by the Doctor: dental xrays of every tooth included with every teeth cleaning. All treatment and diagnosis done by the Doctor, anesthesia risk evaluation, anesthesia monitoring every 5 minutes for your pet’s safety. We treat commonly seen conditions such as gum disease, fractured teeth, and feline resorptive lesions. Ultrasound: affordable ultrasound for emergency triage, senior screening, heart screening, kidney screening, tumor/cancer screening, eye screening, preanesthetic evaluation, urinary conditions, and illness diagnosis. Wellness testing/screening: based on age and breed for early diagnosis of medical conditions. Screening leads to early diagnosis, and better, less costly outcomes. subtle illnesses that cats have. *Please be advised: Paperwork for new clients/patients will take at least 15 minutes to fill out initially.